Christmas is a time to create fond memories and what better way to keep a memento of Christmas than by planting a Christmas tree out in your yard. You may wonder “can you plant your Christmas tree after Christmas?” and the answer is yes, you can. Replanting a Christmas tree requires some planning, but if you are willing to plan ahead, you can enjoy your lovely Christmas tree for years to come. Before you even buy the Christmas tree you will be replanting, you may also want to consider digging the hole that you will be planting the Christmas tree in. Chances are the ground will be not yet frozen at that time and by the time Christmas is over the chances that the ground will be frozen will have increased. Having a hole ready will help the chances that your tree will survive. When you plan on planting a Christmas tree, you need to make sure to purchase a live Christmas tree that has been sold with the root ball still intact. Typically, the root ball will come covered by a piece of burlap. Once a tree is cut from the root ball, it can no longer be planted outside, so make sure that the trunk and the root ball of the Christmas tree remain undamaged. When you decide to replant a Christmas tree outside after the holidays, you also need to accept that you will not be able to enjoy the tree indoors as long as you would a cut tree. This is because indoor conditions can put a live Christmas tree at risk. Expect that your Christmas tree will only be able to be in the house for 1 to1 ½ weeks. Any longer than this, as you reduce the chance that your Christmas tree will be able to adapt to conditions outside again. When planting a Christmas tree, start by keeping the tree outside in a cold and sheltered place. When you buy your Christmas tree, it has been harvested in the cold and has already gone into dormancy. You need to keep it in that dormant state to help it survive being replanted. Keeping it in a cold place outside until you are ready to bring it indoors will help with this. Once you bring your live Christmas tree indoors, place it in a draft free location away from heaters and vents. Wrap the root ball in plastic or wet sphagnum moss. The root ball must stay damp the entire time the tree is in the house. Some people suggest using ice cubes or daily watering to help keep the root ball moist. Once Christmas is over, move the Christmas tree you intend to replant back outside. Place the tree back into the cold, sheltered area for a week or two so that the tree can re-enter dormancy if it has started to come out of dormancy while it was in the house. 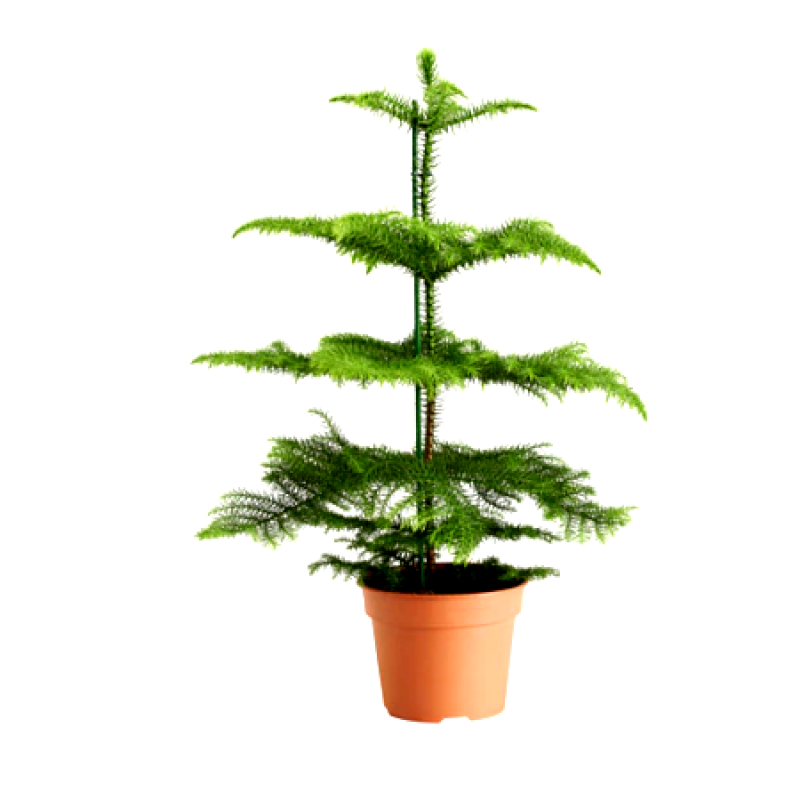 Now you are ready to replant your Christmas tree. Remove the burlap and any other coverings on the root ball. Place the Christmas tree in the hole and backfill the hole. Then cover the hole with several inches of mulch and water the tree. You do not need to fertilize at this time. Fertilize the tree in the spring.